While the new Apple MacBooks had some good points, one of the things that people did not like was the removal of MagSafe connectors. This used to ensure that your device was not harmed if the cable was pulled by any means. That is no more the case as the port has been replaced with USB-C. The Vinpok USB-C magnetic adapter might be the next best thing. If you were a fan of the MagSafe and wish that you could have it back then the Vinpok USB-C magnetic adapter is something that you should consider looking into. An adapter goes into the USB-C port and you can magnetically connect the power cable to the adapter. While the Vinpok USB-C magnetic adapter is not really MagSafe, it is close. Vinpok USB-C magnetic adapter will give you peace of mind knowing that if you trip over the power cable or something else like that happens then the power cable will just snap off from the magnet and nothing will happen to your device at all. Your device will be safe if something like this was to happen. It is important to note that the Vinpok USB-C magnetic adapter supports 87W charging and that is pretty much it. You will not be able to transfer data using the adapter or anything other than charging. This might be a deal breaker for some people but the gadget only costs $29. This could be great value for money for the right person. We also found a patent that concerns some kind of facial recognition software that is like the Apple version of Windows Hello. 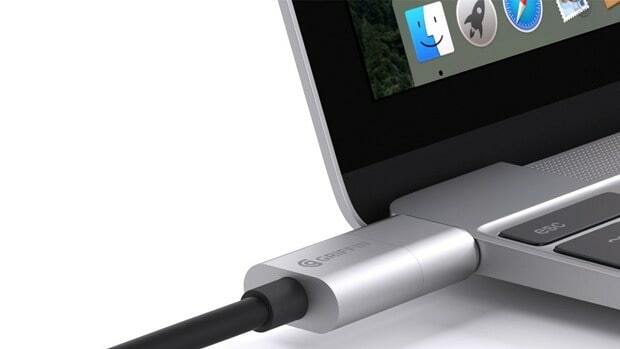 This feature could make it to the next MacBooks. You can click here to learn about other Apple patents. Let us know what you think about the Vinpok USB-C magnetic adapter and whether or not you are interested in buying this gadget for your Apple MacBook.